I finally used a box colour for the first time, and got beautifully glossy, multi-dimensional results. 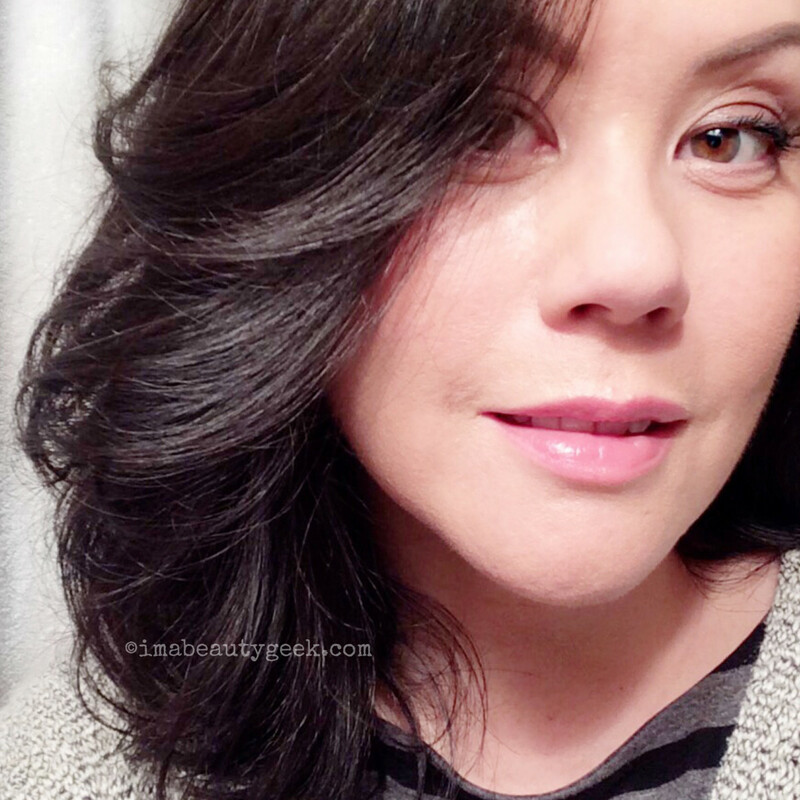 I'll do it again and again because Vidal Sassoon Salonist isn't like other DIY-dye kits. According to Alain, the pigments and chemistry in box colour are essentially the same as the pigments and chemistry used in salon colour – it&apos;s all just packaged in a way that makes it near fool-proof for the average not-a-colourist consumer to use by herself. But mistakes happen. One of the biggest is opaque, light-sucking hair colour, usually the result of pigment build-up on previously dyed lengths. "When salon stylists do re-touch colour applications, they apply on the roots, let them process for 20 or 30 minutes (according manufacturer directions), then pull the dye through to the ends for a few minutes to refresh the old colour," says Alain. Applying fresh colour all over from the beginning would deposit too much pigment on the previously coloured ends – hello, flat colour build-up. There is a home colour kit, though, that makes sure colour build-up will never happen to you. I&apos;ve been intrigued by Vidal Sasson Salonist permanent hair colour since I attended a preview in late 2014 (the collection of 24 shades launched January 2015). The concept is simple and smart: each kit is designed to ensure the user treats her roots and lengths separately, the way it&apos;s done in a salon. 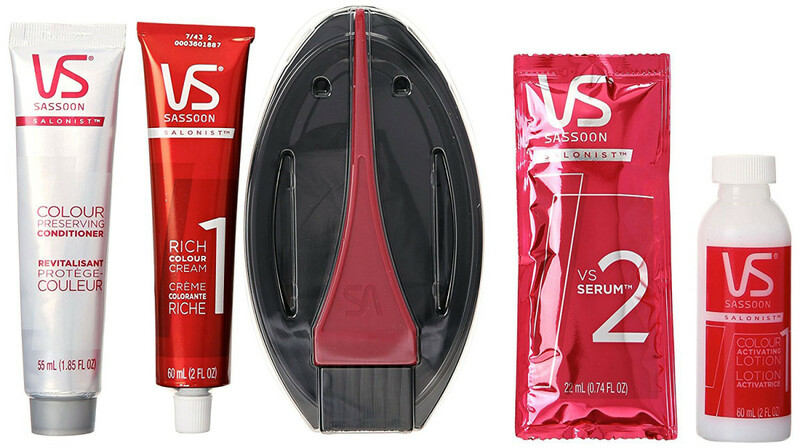 If used as per its directions, Vidal Sasson Salonist ($13.99 CAD at walmart.ca and $11.99 USD at walgreens.com and at amazon.com) promises 100% grey coverage and rich, glossy and seamless salon-like results. Frankly, it&apos;s the closest thing to stashing a professional colourist in your bathroom. And it absolutely delivers on all fronts. Put on the gloves and, in the oval dish, mix the tube of colour with the bottle of developer. Apply 3/4 of the colour mixture to roots, and wait 20 minutes (30 minutes for lightest blonde shades). Mix the sachet of VS Serum with the remaining 1/4 of the colour mixture and blend until smooth. Use gloved hands to scoop the resulting mixture from the container and smooth it evenly through the lengths of the hair. Massage colour in all over, including the roots. See how that works? 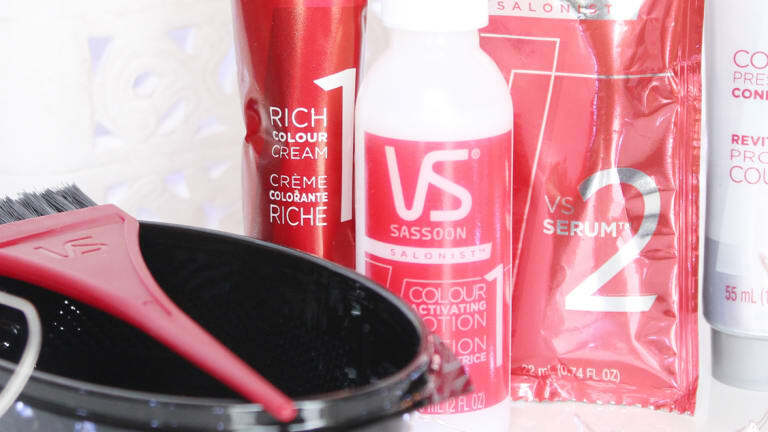 The Vidal Sassoon Salonist kit makes the process so simple. In step 3, the VS Serum acts as a diluting agent for the remaining colour, and jacks up the gloss factor too. And 20 or 30 minutes after we first apply dye to the roots, we apply a more transparent version to the lengths. Like we&apos;re salon pros. I used Vidal Sassoon Salonist shade 3, Darkest Neutral Brown, the closest match to my natural colour. My hair&apos;s thick, so I needed two boxes (if you&apos;re a novice home colourist, it&apos;s best to have two boxes on hand when you plan to colour, just in case). My results? I love the luminous, mine-but-better hue, and that it 100% covers all those greys I&apos;d been ignoring. I swear my my hair looks 10 years younger now. It felt crazy soft and smooth right after colouring, and it looked crazy shiny. More than a month later, I&apos;m still getting compliments. And when comes time to do my roots and refresh my colour, I have zero fear of ever ending up with flat, dense, light-absorbing hair. That&apos;s because I&apos;ll be re-colouring like a pro with Vidal Sassoon Salonist. Love the results. 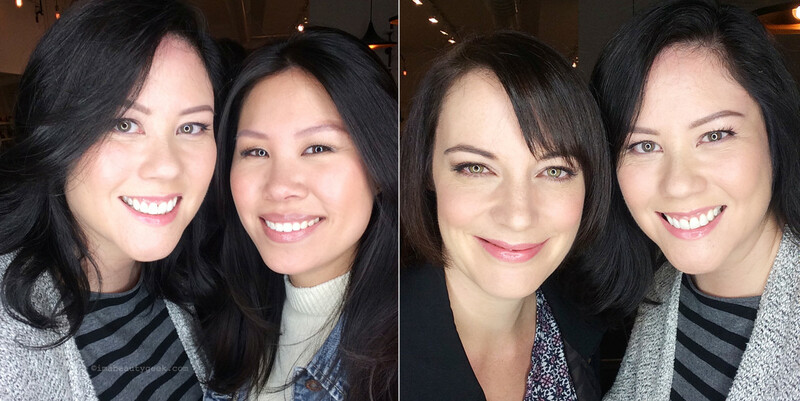 Thanks to Brittany Sinclair for pretty makeup, and Noelia and Sarah for the &apos;do! Do you DIY dye? Do you already do your roots first, then refresh the rest in the last 10 minutes of the process? Or have you had issues with too-opaque colour south of your roots? Have you ever tried Vidal Sassoon Salonist colour? Would you? 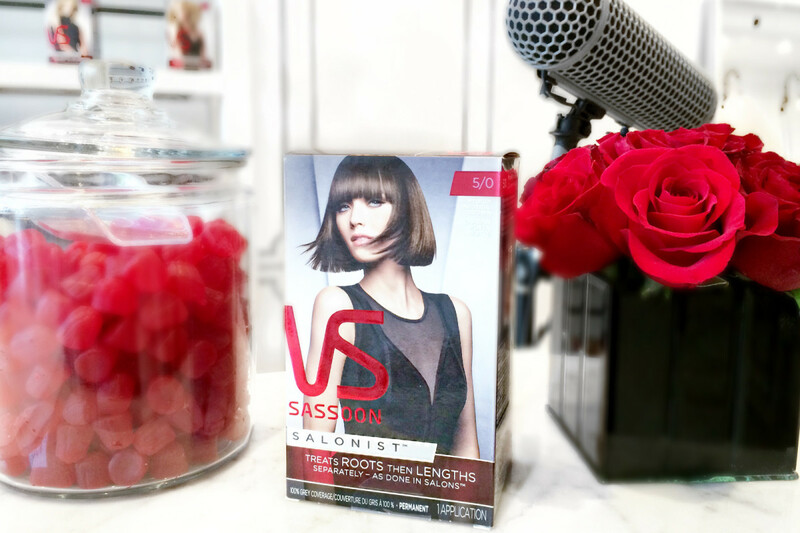 If yes, here&apos;s a $2.00-off coupon so you can save on your Vidal Sassoon Salonist purchase!